> Porsche has swapped the Boxster’s naturally-aspirated flat-six for a turbocharged flat-four to achieve the holy trinity of more power, lower emissions and enhanced economy. But a a flat-six is an integral part of a Porsche’s character. 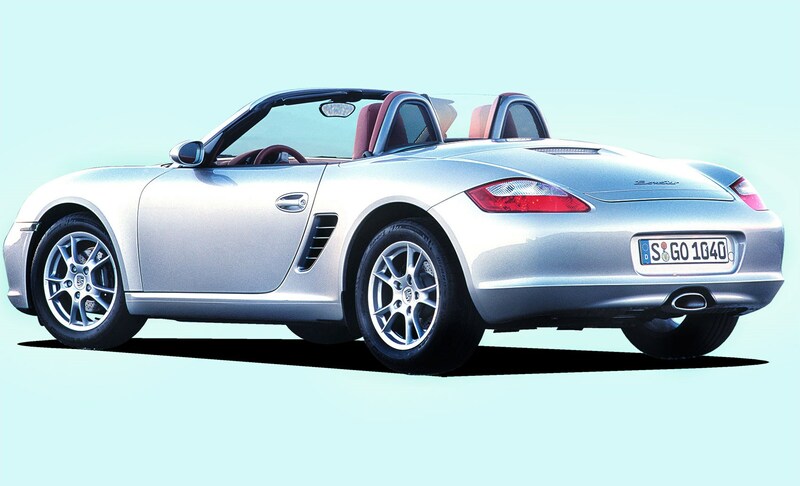 So if you want a sonorous and melodic Boxster engine howling behind your ears, now’s the time. > The key thing is to look for top-spec models. The market is knee-deep in baggy high-milers with less than desirable spec – odd colour/trim combos, aftermarket bits, Tiptronic boxes and no-air-con. They’ll be cheap to buy but will be lucky to hold their value. > Top of your shopping list should be the collectable and cherished special editions and limited runs, such as the 550 Spyder, RS60 Spyder and Design Edition models. Then take a look at the S models. You’ll be surprised by how little you’ll need to extend your budget to find more rewarding models. You’ll love driving one now – and selling it later.